Today, the Red Bag Rewards program has been launched in all 18 Sendik’s locations across the metro Milwaukee area, including the banner’s smaller format Fresh2GO stores and online via Sendik’s Express. Sendik’s Food Market, a Wisconsin-based grocer, has launched a new rewards program powered by AppCard, a personalized marketing and shopper analytics platform for grocers. Today, the Red Bag Rewards program has been launched in all 18 Sendik’s locations across the metro Milwaukee area, including the banner’s smaller format Fresh2GO stores and online via Sendik’s Express. AppCard has worked with Sendik’s to develop a custom rewards program that awards 1 point for every dollar spent in-store and online, via AppCard’s integration with grocery eCommerce platform, Freshop. Shoppers can redeem points for free items curated by Sendik’s. Shoppers can enroll into the program by simply providing their mobile phone number during checkout at the point of sale or online. Members of the program will now enjoy additional rewards for shopping with their trusted, local grocer, and the valuable insight we gain will allow us to make the best grocery shopping experience even better. With the AppCard platform, Sendik’s leadership will gain visibility into their shoppers’ preferences and have the ability to deliver personalized, relevant offers to delight their shoppers and ultimately earn their loyalty. Sendik’s shoppers will be able to track their points balance and browse a digital circular via AppCard’s mobile app, available for iPhone and Android devices. Grocers looking to increase the ROI of their marketing efforts can contact AppCard directly at grocery@appcard.com. 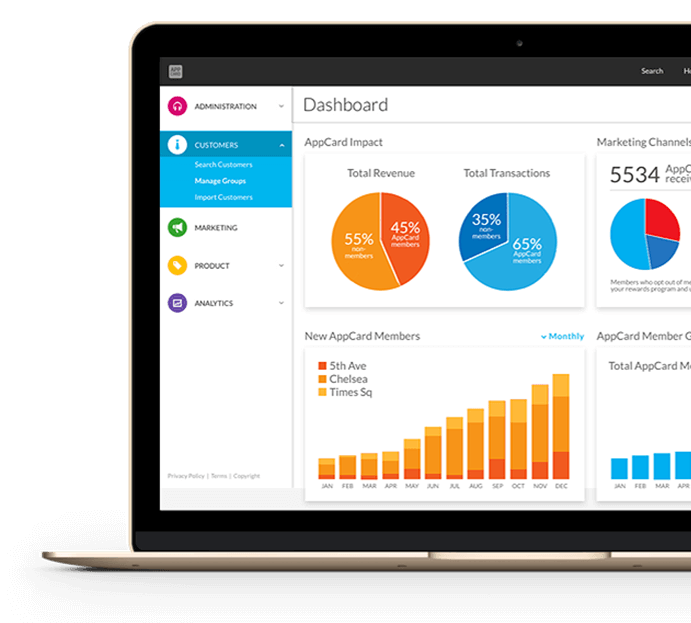 AppCard, a personalized marketing and shopper analytics platform for independent grocers, uses smart data capture and machine learning to analyze, target, and engage with shoppers. The technology empowers grocers to deliver the right message, to the right shopper, at the right time via text, email, and push notifications. AppCard is the leading provider of loyalty and digital offers for the grocery market, processing nearly 500 million transactions, and reaching over 17 million US households. For more information, visit appcard.com/biz.